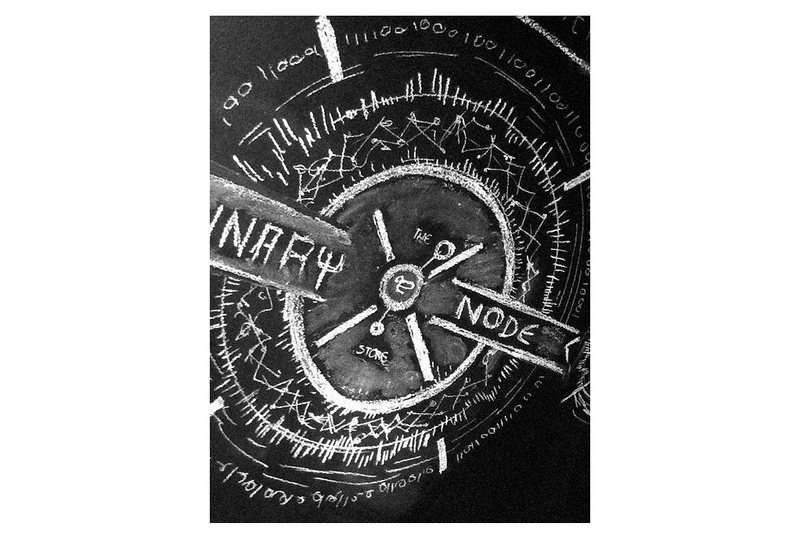 At the end of 2012, we introduced THE BINARY NODE STORE, an electronic art dealership aiming to distribute electronic art with dignity. 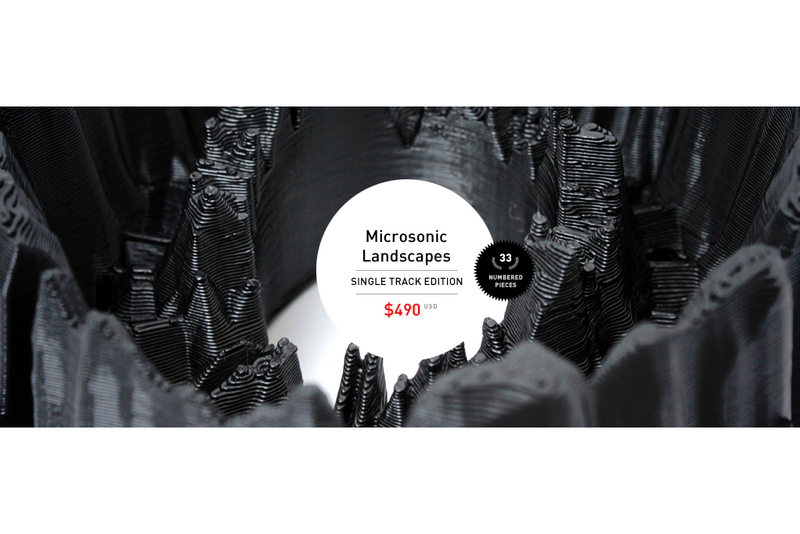 The opening collection was MICROSONIC LANDSCAPES: Single Track Edition, the client was free to submit any sound, and we then proceeded to convert it into matter. 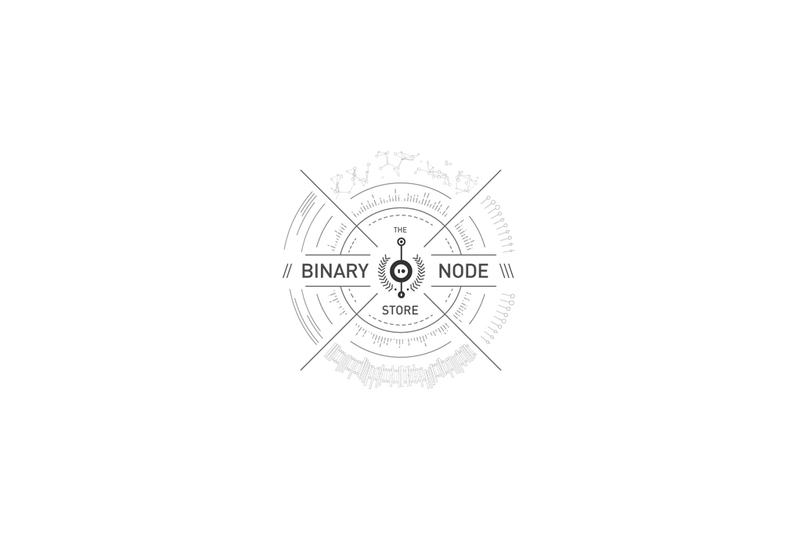 The Binary Node store marked a very special moment for us, since we were finally able to offer physical objects to people around the work, who were interested in collecting some of our work. 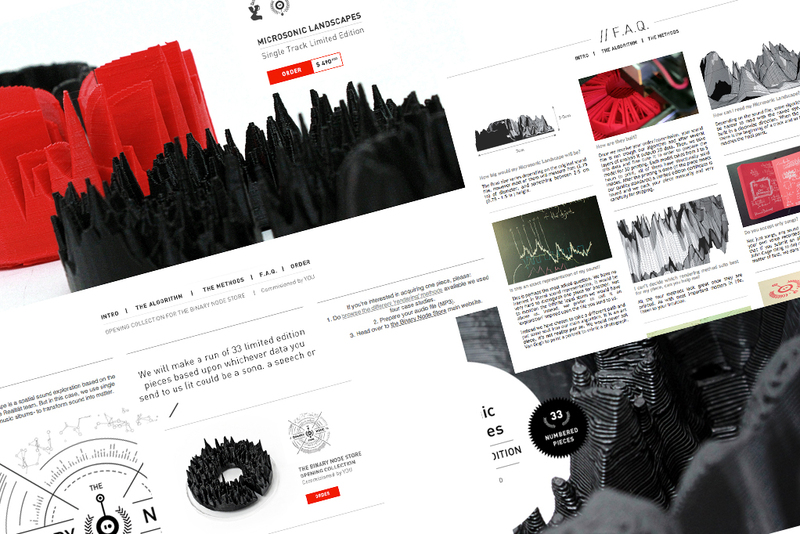 The main administrator and legal counselor of our store is Luka Escalante. 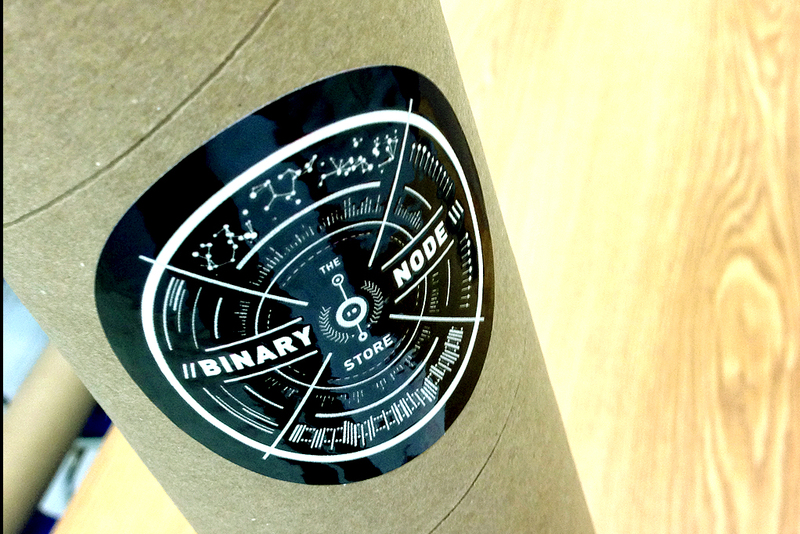 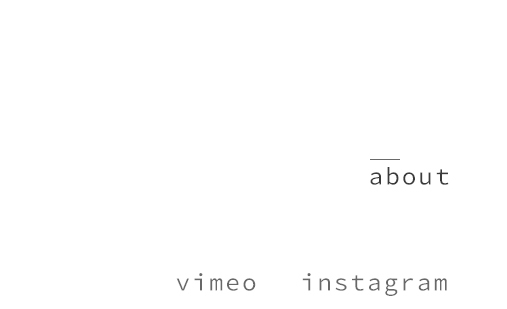 Needless to say, most of the logo is coded in Processing.